Cycling has experienced a renaissance in the United States, as cities around the country promote the bicycle as an alternative means of transportation. In the process, debates about the nature of bicycles—where they belong, how they should be ridden, how cities should or should not accommodate them—have played out in the media, on city streets, and in city halls. Very few people recognize, however, that these questions are more than a century old. The Cycling City is a sharp history of the bicycle’s rise and fall in the late nineteenth century. In the 1890s, American cities were home to more cyclists, more cycling infrastructure, more bicycle friendly legislation, and a richer cycling culture than anywhere else in the world. 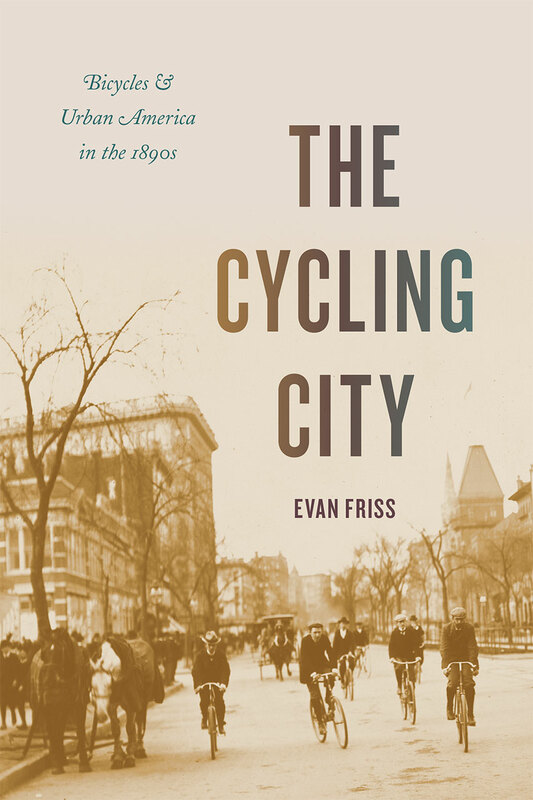 Evan Friss unearths the hidden history of the cycling city, demonstrating that diverse groups of cyclists managed to remap cities with new roads, paths, and laws, challenge social conventions, and even dream up a new urban ideal inspired by the bicycle. When cities were chaotic and filthy, bicycle advocates imagined an improved landscape in which pollution was negligible, transportation was silent and rapid, leisure spaces were democratic, and the divisions between city and country were blurred. Friss argues that when the utopian vision of a cycling city faded by the turn of the century, its death paved the way for today’s car-centric cities—and ended the prospect of a true American cycling city ever being built.